We’re in the home stretch! 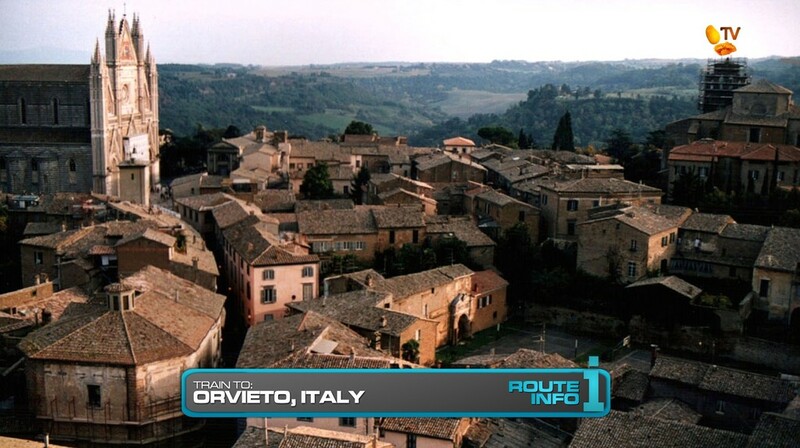 For this 9th Leg of the Race, the six teams will be taking a train to Orvieto, Italy via Verona and Firenze. Arriving in Orvieto at 6am, teams must search in the vicinity of the train station for marked 2016 Kia Vengas which contain their next clues. 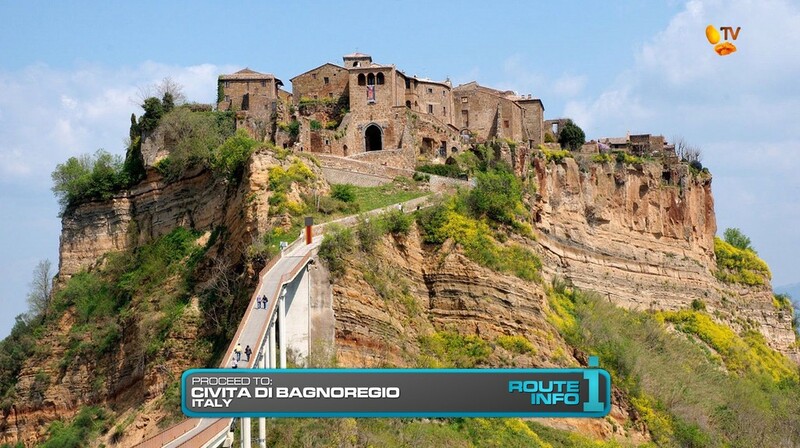 Teams must drive themselves to Civita di Bagnoregio where they will find the Detour for this Leg of the Race: Donkey Dash or Donkey Delivery. 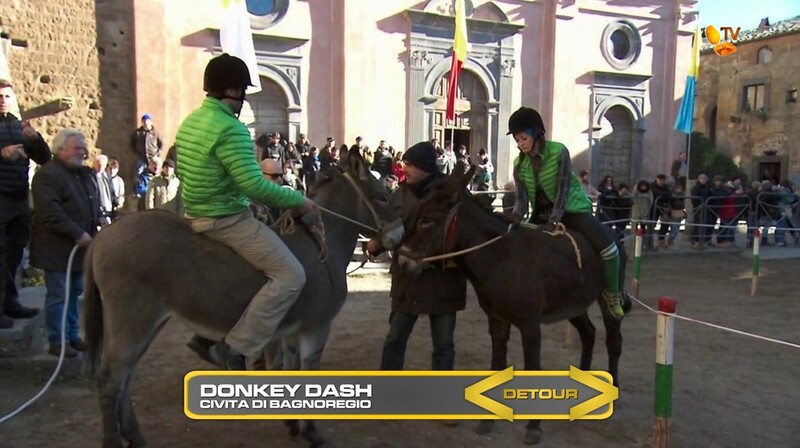 In Donkey Dash, teams will pick a pair of donkeys and then participate in a traditional donkey race, Palio della Tonna. If they can make three laps before a band stops playing music, they will win their next clue. 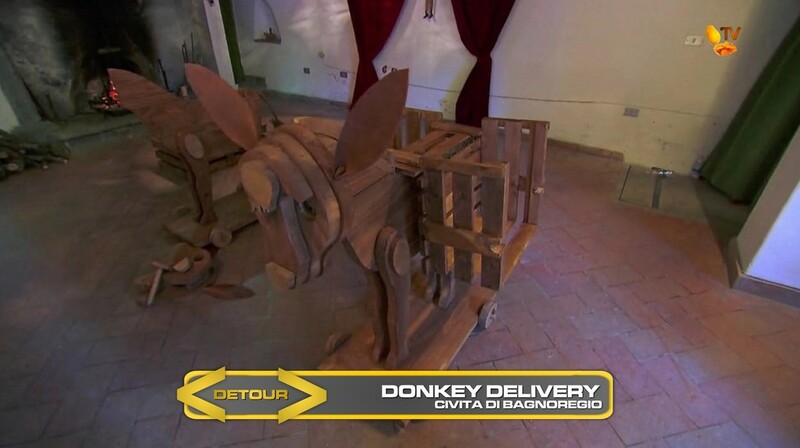 In Donkey Delivery, teams will build a wooden donkey-shaped trolley using all of the pieces provided. Once they’re done, they will load it with wood and deliver it to Geppetto for their next clue. 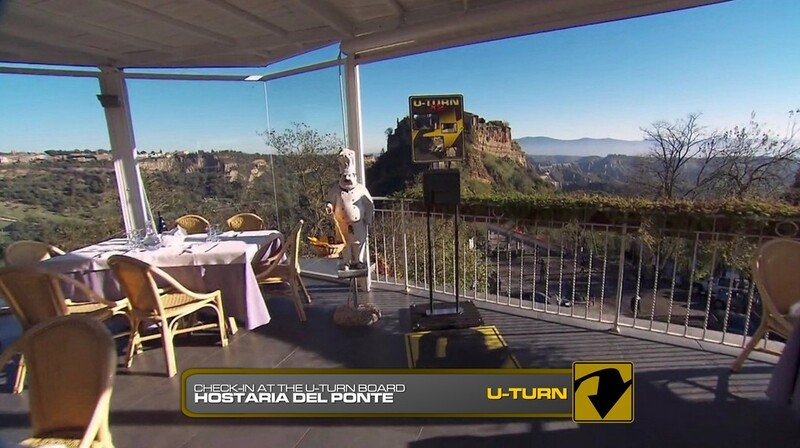 After the Detour, teams must drive to Hostaria del Ponte where they must check-in at the Double U-Turn board. 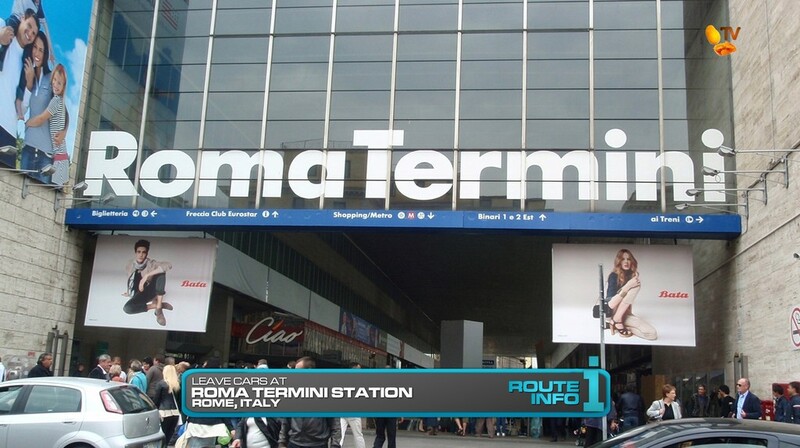 Teams must then drive themselves to Rome where they will park their cars at Roma Termini railway station. Here they will continue on by taxi to the Vatican. Teams will search St. Peter’s Square for a woman who will sell them a postcard. They can buy one or two postcards, write a short note and address it to a loved one back home. 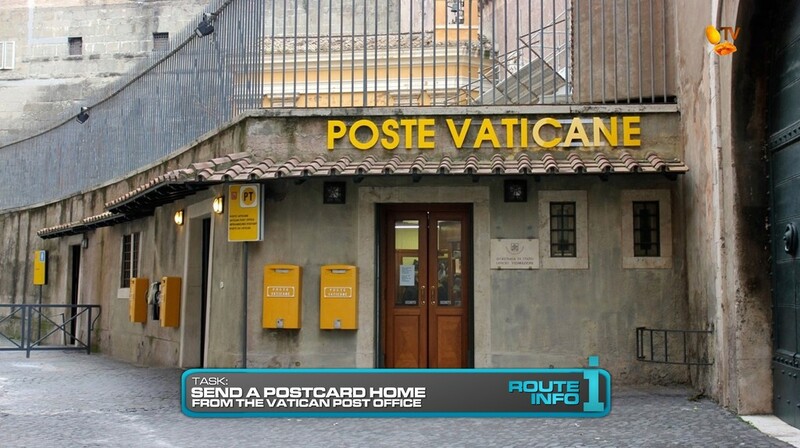 They must then mail it from the Vatican post office at the flagged counter where they will be given their next clue. 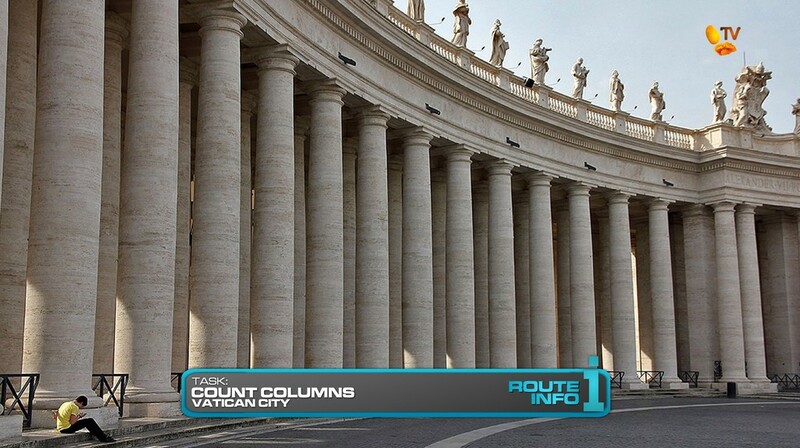 Teams must return to St. Peter’s Square where they will count the columns of the Arms of St. Peter. 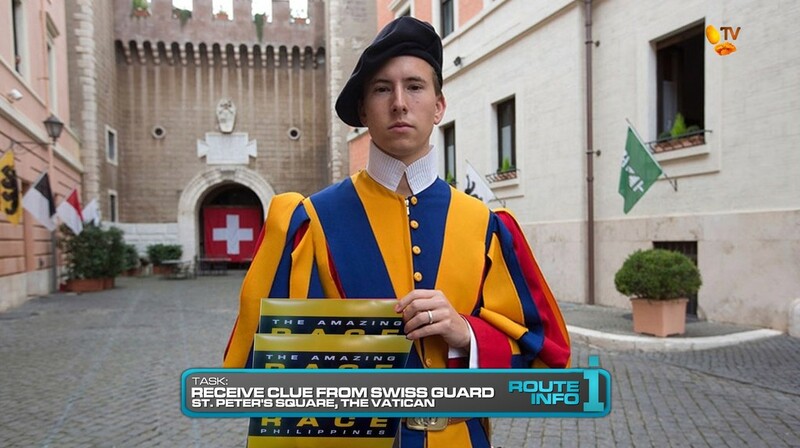 They will give their answer to a waiting Swiss guard to receive their next clue. And that clue reveals the Double Road Block: Who wants to make new friends? And who doesn’t? 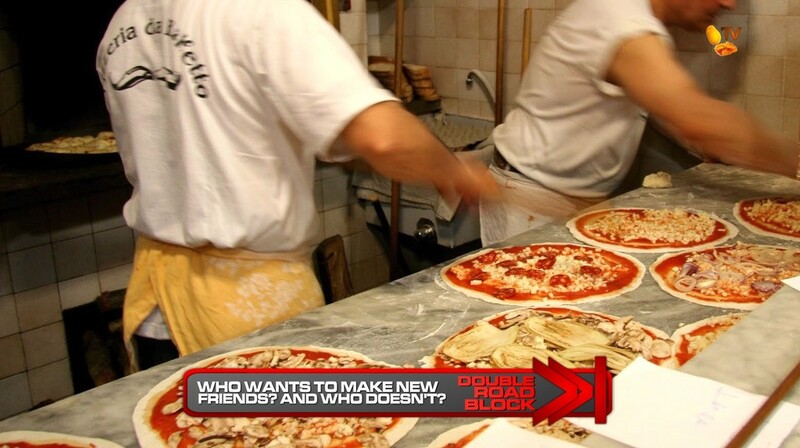 The team member who wants to make new friends will join a table of four customers at a pizza parlor. The other team member will take the customers’ order (in Italian) and then relay it back to the chef who they will help create the pizza. When the pizza is ready, they will serve it to the table and the friendly team member must eat a slice to receive the next clue. 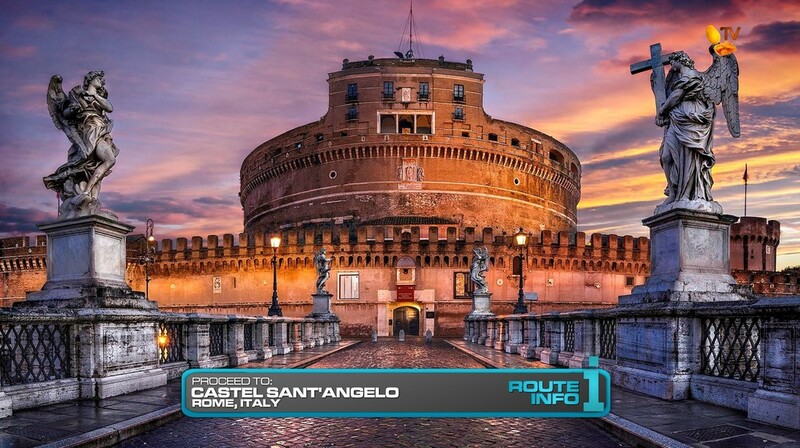 That clue will tell teams to head to the Pit Stop, Castel Sant’Angelo. 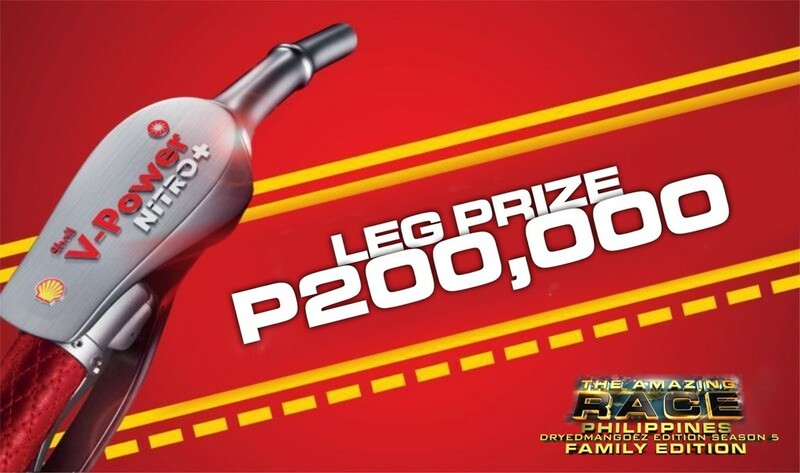 The first team to check-in will win P200,000 courtesy of Shell V-Power Nitro+. The last team to arrive WILL be eliminated. This will be a full, all-day Leg. As much as I hate TAR24, I’ve used a lot of their tasks in TARPHDME lol But some of the tasks were okay. It’s just the teams sucked balls. Anyway… I do like the donkey Detour. And it’s on the way from Innsbruck to Rome. I might be more inclined to not include a U-Turn here because the Leg is so full, especially after the Detour. It might just feel too forced and unnecessary. Vatican City is another location TAR has never visited. (Or at least, it’s never been shown on air.) 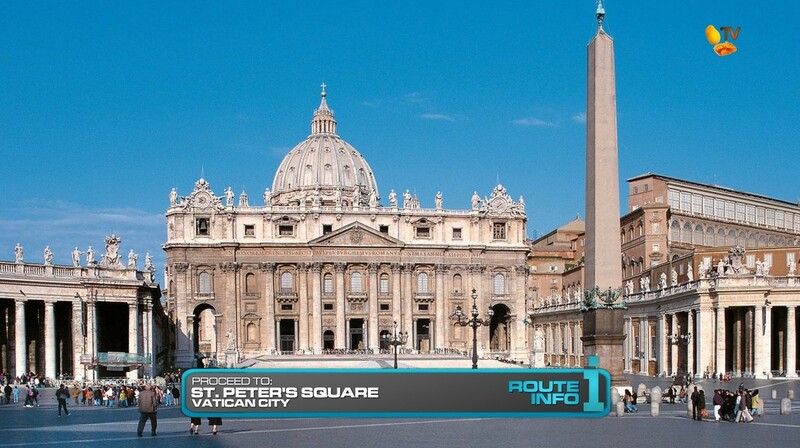 While I don’t have any tasks inside the Basilica or something involved directly with the Church, the two Active Route Info tasks have teams right in the middle of St. Peter’s Square for a good chunk of the episode and Leg. That should make for good scenes. The Double Road Block is a simple, straightforward task.